Increasing the number of lungs available for transplant. Using a technique known as “ex vivo lung perfusion,” or EVLP, combined with a promising drug, would open the door for surgeons to assess and use lungs from donors who die outside the hospital. Most lungs from these donors go unused because surgeons cannot determine how much damage the lungs have suffered in the time since death. 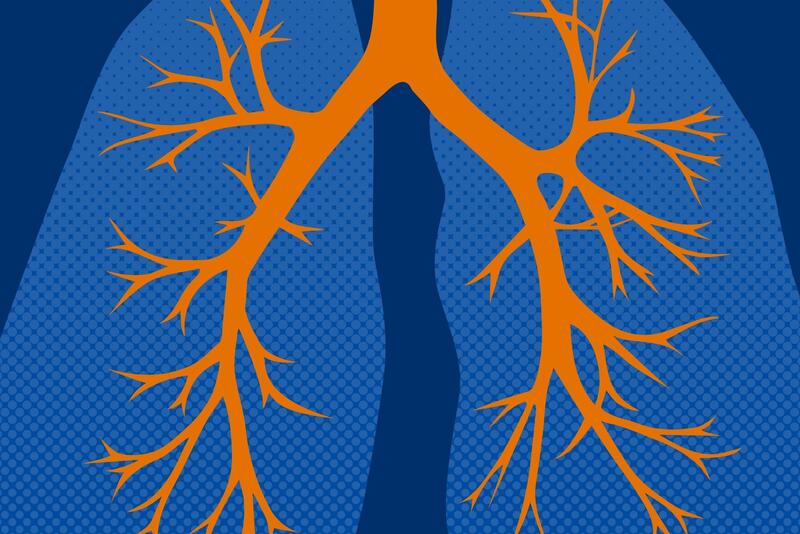 UVA’s research with EVLP could allow surgeons to rehabilitate injured donor lungs and dramatically reduce the large waiting list for lung transplants. “We envision UVA as eventually becoming a lung rehab center where donor lungs would arrive to undergo EVLP and, if they look great, they can be sent out to the appropriate hospital for transplant,” said Laubach, who is collaborating on the project with Kron, a UVA transplant surgeon. IR injury leads to primary graft dysfunction, a significant cause of death after transplant, and is also a risk factor for chronic graft dysfunction, the major cause of death beyond one year after transplant. Laubach and his team are seeking a better understanding of what happens at the cellular level during IR injury. They have identified a major new player in the damaging inflammation – the opening of pannexin channels in blood vessels that release “danger molecules.” Laubach believes that this could represent a new therapeutic target for the prevention or treatment of IR injury. Dr. Sasha Krupnick recently relocated to UVA from Washington University in St. Louis. His laboratory studies mechanisms of inducing tolerance to lung grafts. Taking medication to impede the immune system is necessary for life after lung transplantation, and Krupnick’s lab is seeking ways to decrease or eliminate the need for immunosuppression after transplant. The grants have been awarded by the National Institutes of Health’s National Heart, Lung and Blood Institute (grants R01 HL119218, R01 HL133293, R01 HL130053 and R01 HL128492) and the National Institute of Allergy and Infectious Disease (P01 AI116501).